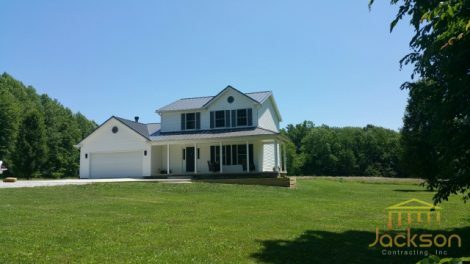 Residential Roof Installation Indianapolis | Jackson Contracting Inc. If you are deciding on a new roofing system, you have a selection of options to choose from, many of which can affect the price of your house for decades to come. Cost will also merit consideration, since the cost for certain roofing materials can differ widely. The way your roof appears, as well as complements your own style is also quite essential, so be sure to choose a style that you like! With years of experience in roofing, Jackson Contracting, Inc. is proud to provide reliable roof installation in Indianapolis, IN and the surrounding areas. If your home is in need of a new and updated roof system, don’t hesitate to give our team a call at 317-214-8124 now! Looking for Residential Roof Installation in Indianapolis, IN? Call Us Today! We Carry Some of the Best Materials for Residential Roof Installation Service. At Jackson Contracting, we are able to install a variety of residential roof materials. Our roofers have the skills, knowledge, and training to install these roof materials correctly the first time around. Asphalt Roof Shingles: The most popular choice across different roof choices, asphalt shingles’ durability, and affordability provide are a huge reason for its popularity. A wide range of styles and colors, along with an easy installation and ability to be installed in any climate, count as benefits of asphalt shingles. Two decades is the usual life expectancy for asphalt shingle roofs. When it comes to any drawbacks, it doesn’t have too many. As asphalt shingles get older, they also show signs of fading. Metal Roofs: Metal roofs have amazing resilience, and have pre-sized sections to make installation speedy and efficient. Lighter weight and little to no maintenance requirements count as two more positives for metal roofs. 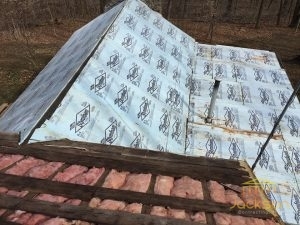 Two negatives for metal roofs involve a loss of shine over time and when an inexperienced roofer installs this roofing system, it can lead to early roof failure. Premium Roofing: If you’re looking for a more specialty roof for your house, wood shake, metal shingles or slate roofing are all great options! These premium options each have their own advantages and unique looks, sure to set your house apart from any others in the neighborhood. Our roofing contractors are experienced and qualified to install all types of premium roofing. If you are interested in any of these materials for your residential roof installation in Indianapolis, IN, call us at 317-214-8124 to schedule an appointment. Get the roofing material you have always wanted. For residences in Indianapolis, IN, Jackson Contracting, Inc. uses high-quality tools and technologies to get the job done. You can trust that our first-rate specialists will provide you with impeccable residential roof installation, no matter what material you choose to use. For any questions in regards to roof types or residential roof installation in Indianapolis, IN, phone the roofing experts at 317-214-8124. We are dedicated to providing residential customers who live in the Indianapolis, IN area with the best residential roofing services. We are able to do that with our reliable, effective, and professional services.